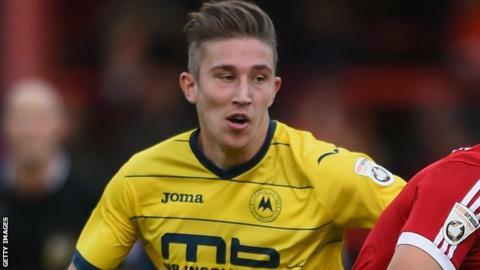 Angus MacDonald has the qualities to be a future Torquay United captain, according to manager Chris Hargreaves. The 22-year-old centre-back impressed as the Gulls came from a goal down the club's first league victory since 9 December. "He was absolutely excellent, he's becoming so mature. "He wants to be a leader and he wants to be a future captain of the club and we needed to secure his services," Hargreaves told BBC Radio Devon. MacDonald having previously had two loan spells with the club. "He's been brilliant since he arrived," Hargreaves said of MacDonald, who was up against an Eastleigh attack with over 1,000 appearances between them. "James Constable, Jack Midson, Deon Burton have got so much experience and I thought Gus handled it brilliantly."